A while back I worked on a project to develop an internal affinity-oriented social network for professionals which focused on collaboration. The MyCenter section is my active dashboard (It’s my default Landing Page, once I’ve established my presence). By default it focuses on communication: specifically my conversation threads and event notifications. Okay, so that’s the intro and overview of our solutions model for an environment which encourages “professional affinity”. 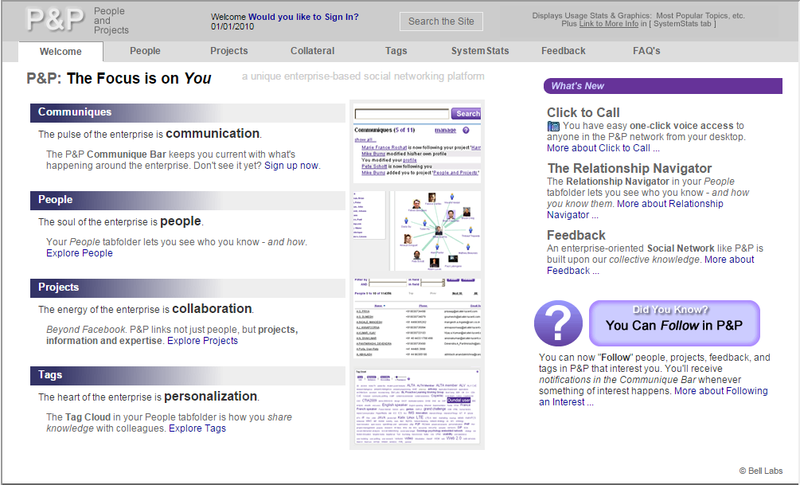 The Intuitive Collaborative Design group (ICD) was charged with implementing a social networking and collaboration platform across Bell Labs. 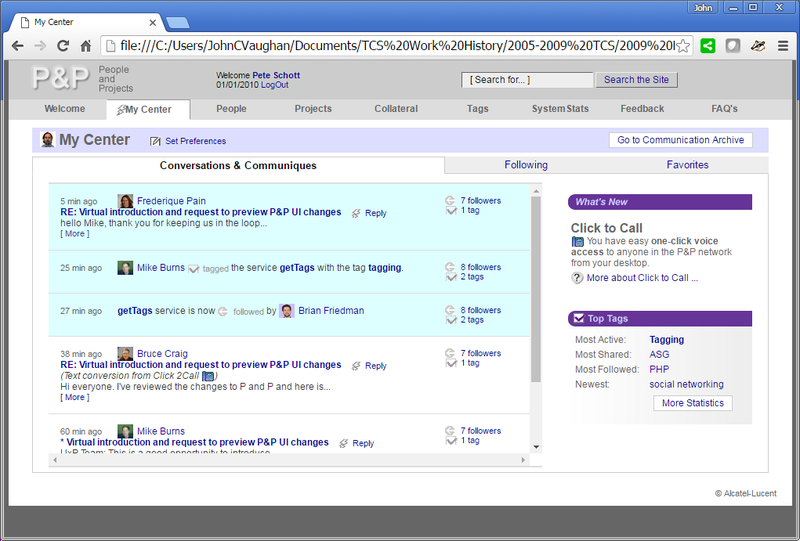 A primary focus was on integrated messaging and workflow collaboration . There’s a bunch of info there, including a clickable demosite. Small group (5), three of us were remote/virtual. A small group of really smart people. Casual & collegial. Agile style & affect. One of my most enjoyable and productive engagements. 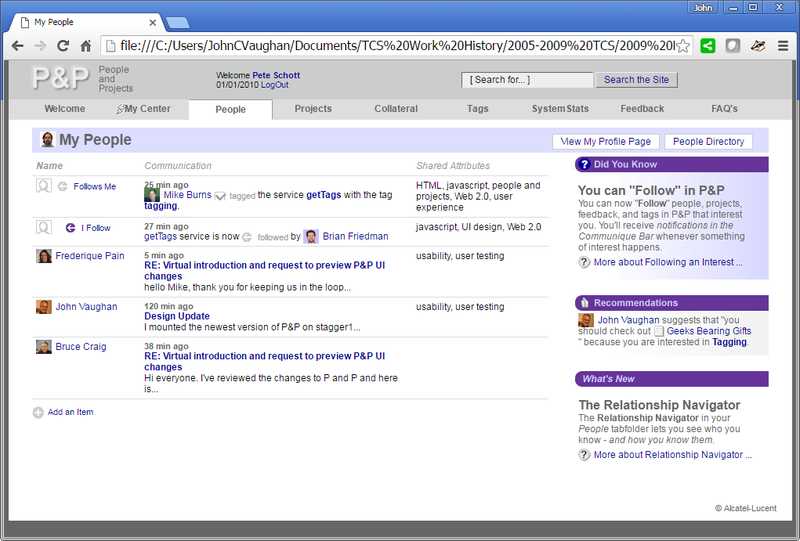 These screenshots were designed in 2009 for the desktop technology environment which was prevalent at the time. Mobile was a reality, but not yet a de facto assumption – especially for a professional office environment – so this does not reflect small-screen design, much less “mobile first“. It is what it is. Here are a couple of challenges that I face whenever I’m designing a model. They’re kind of “old-style”, aren’t they? We humans need to “chunk” information in order to process it. In the Bad Old Days, we chunked info by putting pages into tabfolders. Nowadays we “swipe down” to scroll for more, “swipe left” for next item, etc. But it’s all governed by the limited amount of info we can present at any moment in a tiny little screen. 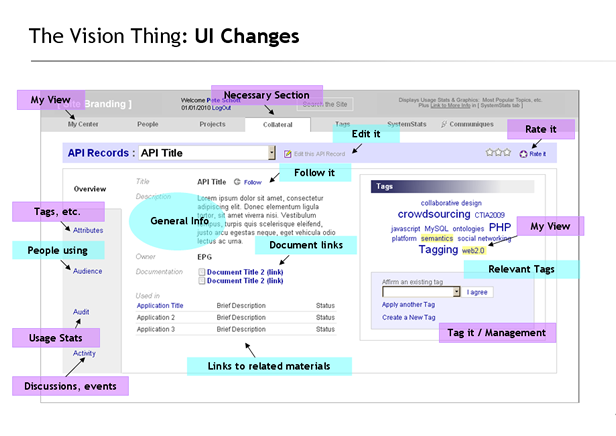 From a UI perspective, the presentation challenge is often, “How can you indicate the information-you-can’t-see“? The page design is kind of “busy”. No argument there. We want concise images and icons to provide directional shorthand and we want helpful bots to “silver platter” one-click solutions for us. And – I agree – the finished UI should be lean and efficient. 2. 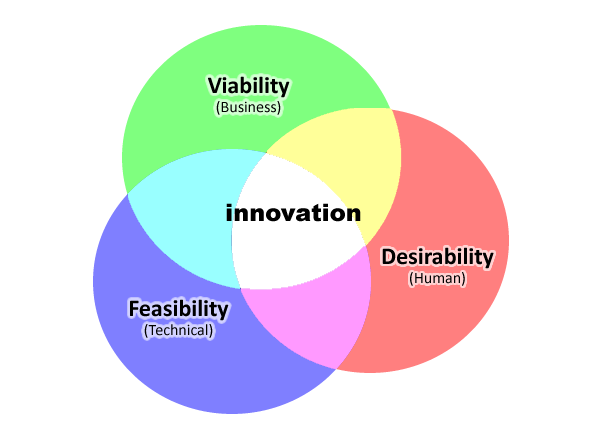 Glean to make it Lean : Now we (stakeholders, designers, marketers, tecchies etc.) can use this knowledge and a visual model to collaborate / make informed choices about what’s important, what’s do-able, what has priority, what is usable, and so on. These informed priorities should be reflected in our design (layout, flow, icons, terminology, “how things are organized”, etc). You often need to have a long list before you can make a useful short list. It may seem counter-intuitive, but wise design is often based on editing, fine-tuning and ‘hiding’ (selectively revealing) necessary functionality – not adding it. I must admit, I have a soft spot for intranets. But that’s another rant. The company’s intranet is the Infrastructure. 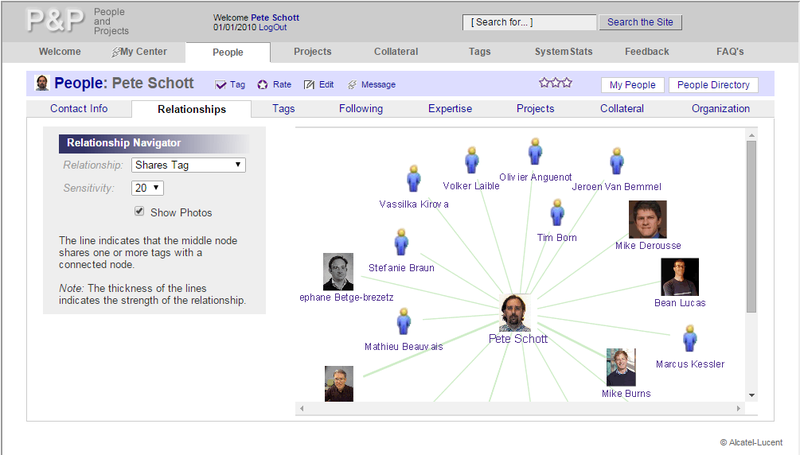 The socialNet is the Model. It’s how professionals connect. Really connect. The socialNet has a shot to do it right. Potentially.